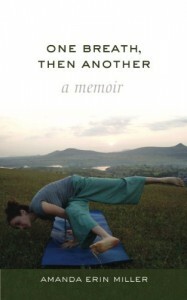 One Breath, Then Another was a very difficult, and emotional, book to read. 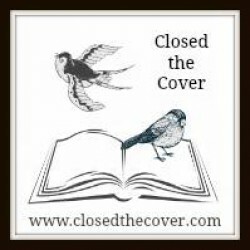 Amanda Erin Miller, the author, begins the book with a very descriptive and dark introduction. The background to Amanda's story is heartbreaking. Amanda's father had always suffered from self-image problems and once starved himself until he was skeletal; he was also a heavy smoker who ultimately died of lung cancer. Amanda, like her father, had self-image problems and developed a severe case of anorexia that eventually led to her hospitalization. After moving to Manhattan she suffered a mental breakdown and spent over a year recovering. As part of her recovery she embarked on adventures traveling abroad to exotic locations where she learned yoga and began a new life. While I can appreciate Amanda's ability to convey her thoughts and feelings, it was hard to relate to her. She was a very tormented soul however I find it amazing that she was able to rise above her past and find a way to help others through yoga. Yoga allowed Amanda to reflect on life and death, on the purpose of life and on learning to accept the present moment and enjoy the day. Her honesty and her ability to write with genuine emotion is very evident throughout the book. I received this book as an ARC from the author and it is probably not a book that I would have pick up in the store. Now that I have finished it I am glad that I read it. It is well written and conveys a very strong meaning - to truly begin to heal your own wounds, whether they are physical or emotional, you have to helps others. I would recommend this book to other readers, specifically those who are seeking to heal their own scars.